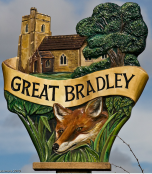 Great Bradley has a fantastic village hall with super facilities! 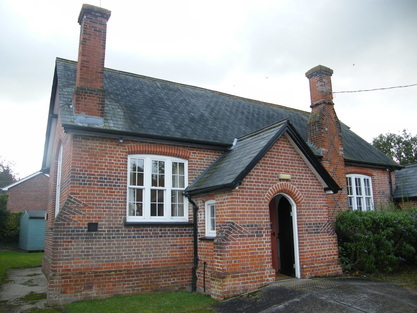 It was a two roomed village school until the 1967. Now it is used by young and old alike. Current Clubs include the Art Group, Pilates, Scottish Dancing, Flexible Friends, Afternoon Drop-in, WEA talks and Slimming World. See the bookings button for more information. ​You can hire the hall yourself for children's parties, meetings, family get-togethers, wedding receptions etc. You don't even have to hire the whole hall - you can hire chairs, tables or even the car park! The hall can take 60 people seated or 100 standing and there is a spacious kitchen fully equipped with all the appliances you might need as well as crockery, glasses, cutlery etc. There are men and women's cloakrooms, a wheelchair accessible toilet, ramp access into the hall, Wi-Fi and broadband internet access as well as a large car park. Click the buttons above for more information. The hall is managed by a small group of villagers as a charity. This is so that we can attract grants to keep it in good condition. Please help keep this great asset for the village by hiring the hall whenever you can. Click the 'management' button for more information. You can help raise funds using the easy fundraising scheme, which makes a donation to the village hall every time you do your online shopping - at no cost to you! Click the link above for more information.